Drifter is a new fun motor sport activity unique in its own way though the speed is between 20 to 30km the thrill is in both the back wheel( drift when the 3 wheeled vehicle is put in the corner) this makes all interesting as the rider in a narrow artificial layered track. 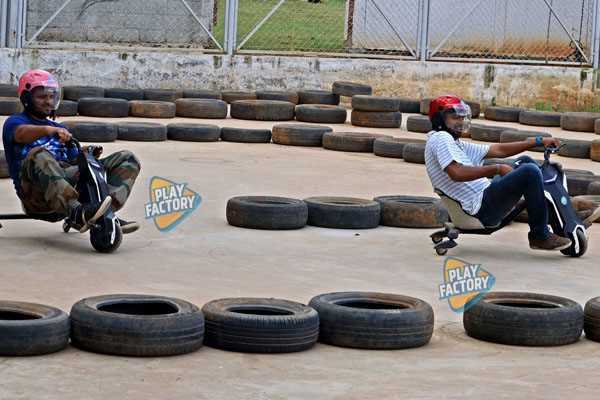 The track at Play factory is about 200 mtr long with few turns many has being hair pin bends. 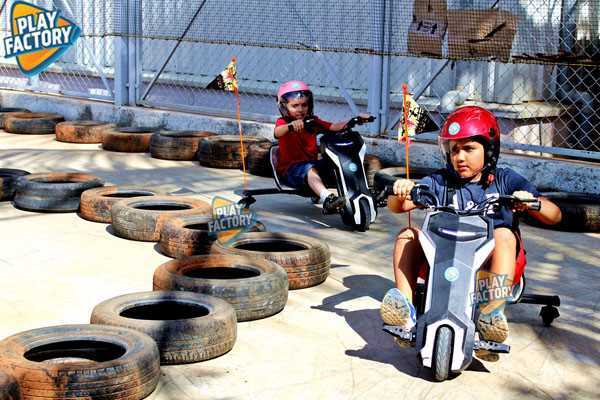 There are also 2 to 3 stretches where the drifter is put to its max speed and tends to make mistake going off the track and hitting one of the soft barricades with a large many times and smile is almost at all time. A fun and a thrill sport where a father & daughter compete and many time a daughter wins. It’s also fun when 3 people from corporate team competes like children and fight for few sec which makes them feel as a team. All and all a safe, fun and a activity which would take a few minutes but will drive your thrill to its limit. 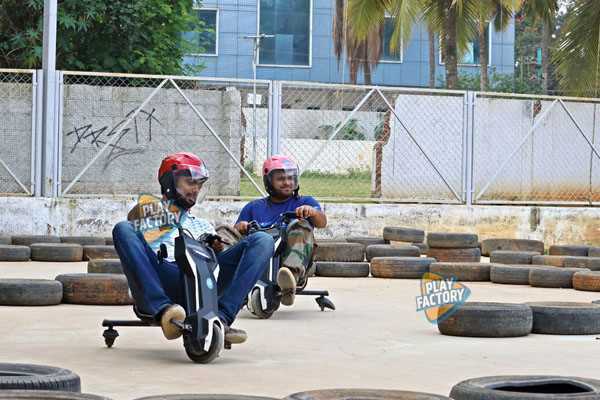 Drifter is a new concept in India Play factory has taken this to next level by bringing in competitive and fun platform at its 1st flat-ship centre at Electronic city, Bangalore. 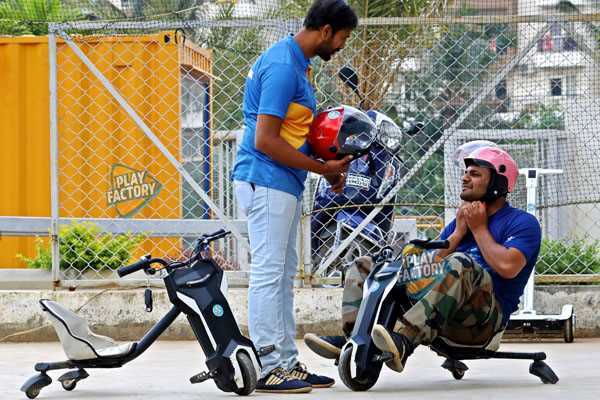 It intends to multiply similar centres at Play factory across India area required would be 2000 to 5000 sq ft. A max number of participant of vehicle Mandatory rule (earring/ headgear, clothing etc) Earring needs to be removed, helmet to be compulsory for all age group we have open face helmet from 4 year onward. If you already have helmet you can use this for safety.